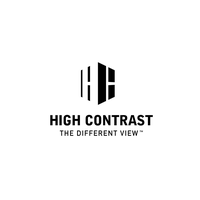 High Contrast Client Reviews, Rating and Analysis Report. MUSHIN is an app that analyzes the musical preferences of people and generates a real-time playlist with their favorite music. The brand intends to change the way people are collaboratively listening to music. Based on a really cool AI, the brand needed a strong, powerful yet friendly identity. Using a smart AI algorithm, MUSHIN generates a real-time and dynamic playlist intersecting the venue’s music library with the musical preferences of people in the location. The startup has its roots in the agency and we are in charge of branding, UX, and app design since 2016. 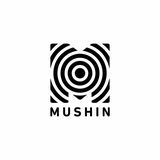 The High Contrast creative team did an amazing job for the MUSHIN.FM branding project, by creating not just by designing a modern and fresh identity but also by generating a brand love potential that we will certainly capitalize in the future. Thank you High Contrast! After delivering the perfect brand for MUSHIN.FM, the High Contrast creatives overcome themselves with an incredible user experience & design they built for the MUSHIN.FM iOS & Android apps. Thank you again guys! Nice, commited and quite young people with great potential!